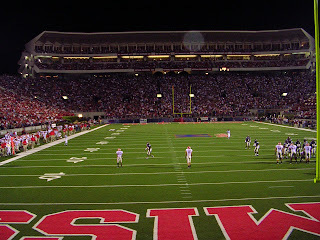 One of the many reasons I miss college is having cheap football season tickets. 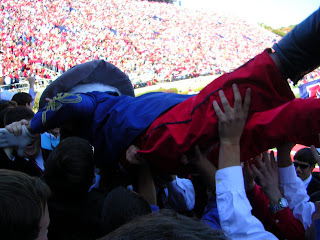 I miss the student section at Vaught-Hemingway. It was quite an obnoxious section, but hey, your in college & that's okay. Right? 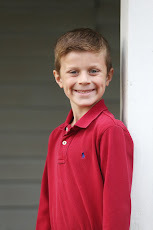 So in honor of college football, instead of yelling at the tv like my husband may or may not be doing while watching Bama play, I am showing you an assortment of gameday pictures. Everyone is dying to see them, right? Thanks for humoring me. 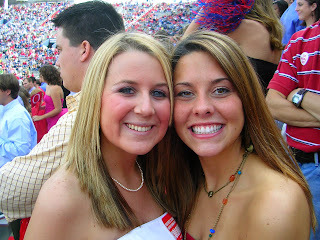 Margie and I...junior year perhaps? Jac & I...of course sporting my "Colonel Reb is MY mascot!" sticker:) Hotty Toddy. So sad it was our last home game as students...I miss my partners in crime!! LSU game in the grove. 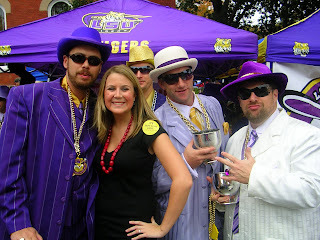 I had to pose with the pimps of Tiger Pimp Nation. Google them. I promise you will NOT be disappointed! 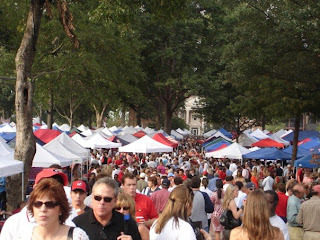 Hidden treasure of the south....THE GROVE! I'm really not kidding. I love them. I will leave you with the CUTEST rebel I know. There is nothing like SEC football. 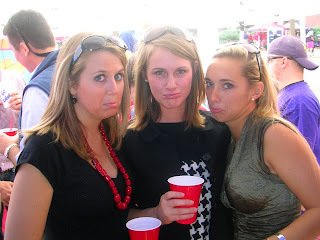 So from our confused SEC household to yours....Hotty Toddy, Roll Tide, & Go Dawgs!!!! 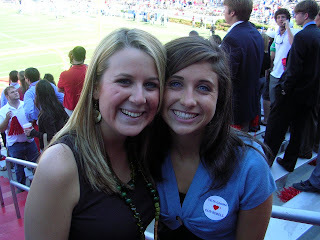 I love me some college football -- even though the Dawgs had a terrible game!